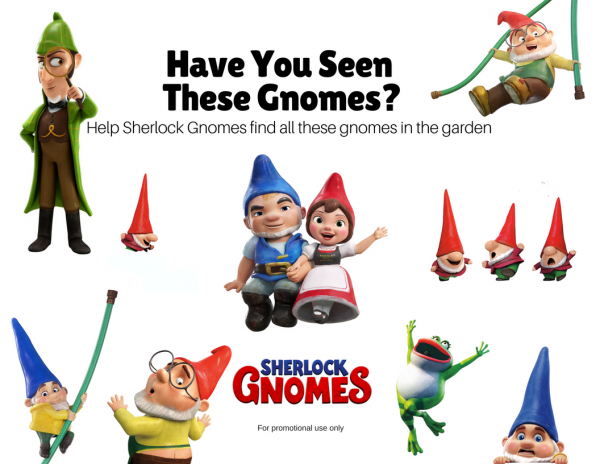 My daughter is so excited about the new Sherlock Gnomes movie in theaters March 23, and whenever my kids are excited about something I like to use that excitement to take the play off screens and make it hands-on. 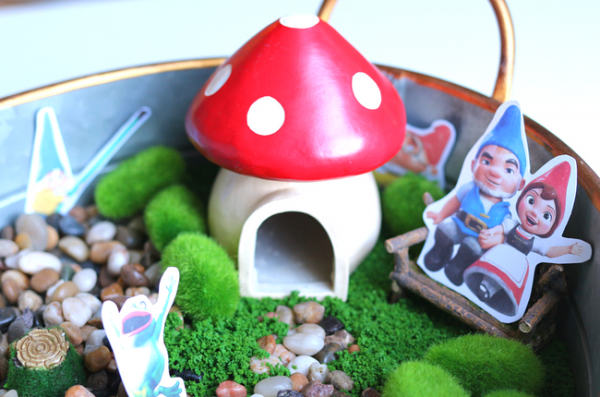 That’s just what we did with this interactive Gnome Garden. Before we get to the activity, I want to share a little bit about the film, because I really love the messaging it has about friendship, teamwork, and putting family first. 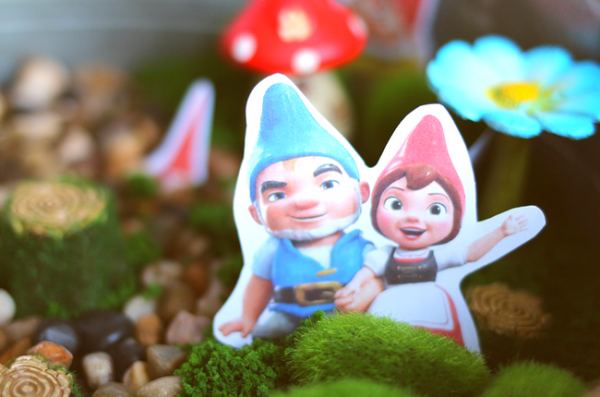 They’re on a mission to bring every gnome home. 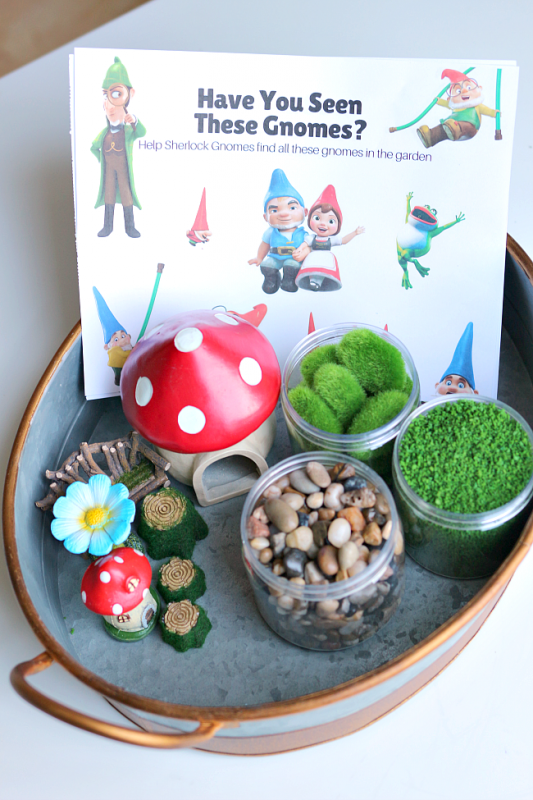 First, gather your materials. 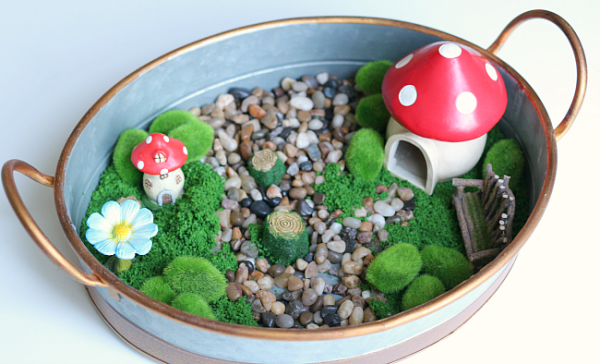 You will need a metal container, some pebbles, some fun miniatures like these toadstools and garden bench, some fake grass, and whatever else you want to make an enchanted garden. I got all of this at a quick trip to a craft store. 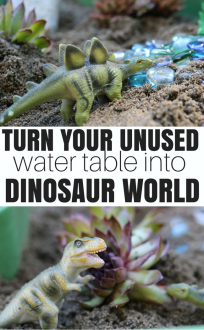 Print out two copies of this printable ( click the link to print). 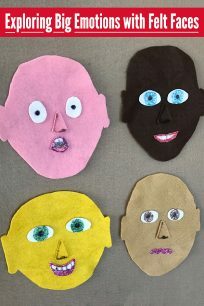 One is a guide for the child as they search. 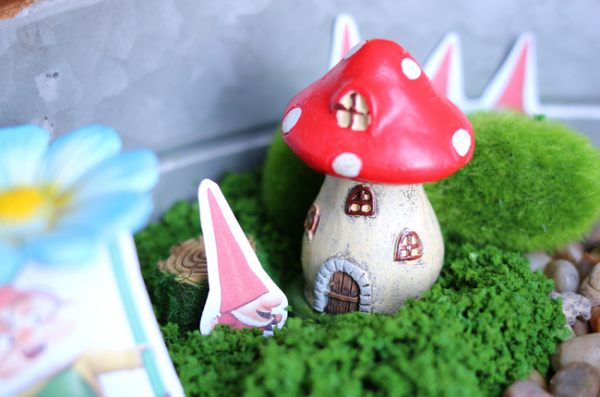 The other is to use to cut out the characters and hide. I didn’t laminate because it causes glare in photos but feel free to laminate. Next, cut the characters out. 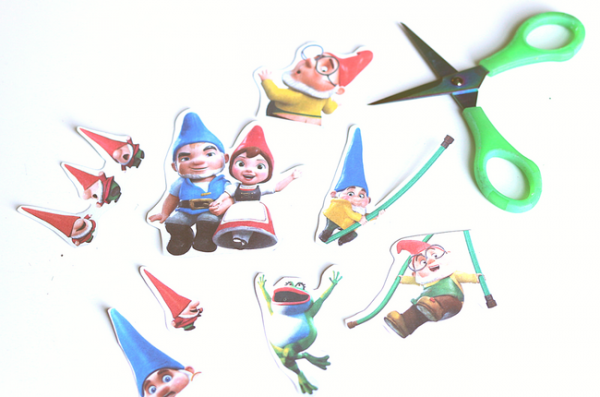 You’ll find Gnomeo and Juliet from the first film and their friends Benny, Nannette, and more! 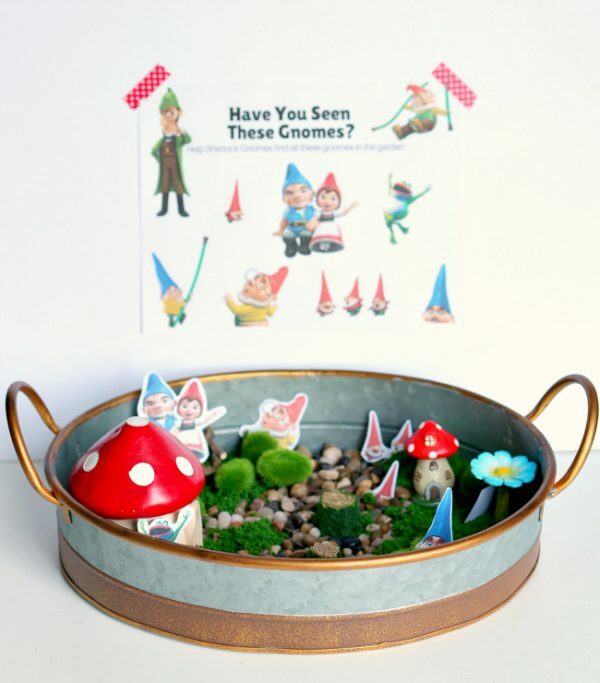 I used washi tape to put my guide on the wall, but in a classroom, I’d just lay it next to the garden. 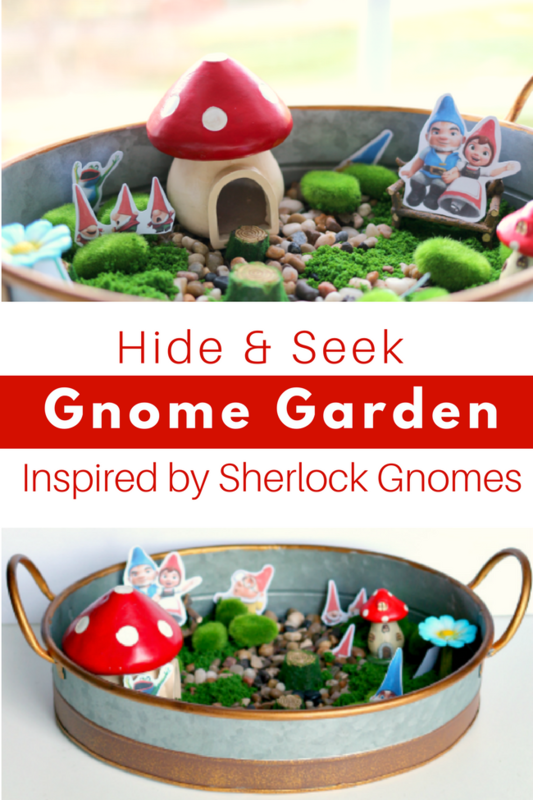 After finding every gnome, have the child hide them in new spots, and YOU try to find them, rearrange the garden, or create a scene from the movie. 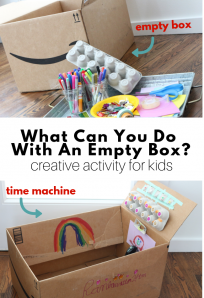 This activity is meant to spark even more play, so let your creative little one explore. 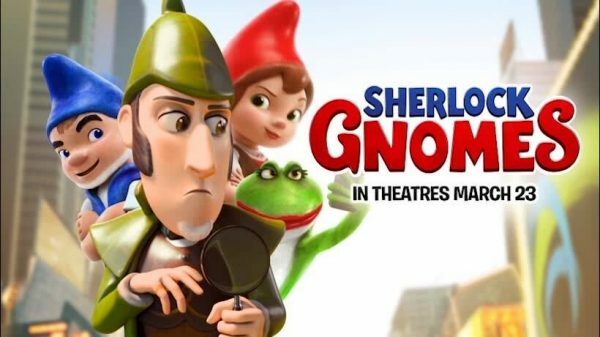 Then, set a date with your family to see Sherlock Gnomes in theatres on March 23. Find out more about the film by connecting on social media and be sure to watch the trailer below!